June, 2015 | H&R Group K.K. Chita Peninsula, or in Japanese 知多半島 – Chita Hantō, is just south of Aichi Prefecture, east of Nagoya City in Central Japan. The peninsula itself runs basically north-shouth. To it’s west lies Ise Bay, to it’s east Mikawa Bay. If you are looking to get away from the city and find some ocean, the Chita Peninsula is a great choice! you can make it well out onto the pennisula in about an hour, and there are plenty of things to do. Handa-shi is located on the Chita Peninsula, about 1 hour away from Nagoya. It is right on the water, and has many things to see and do. Traditionally, Handa has a strong connection with soy sauce, sake and vinegar brewing; To this day the headquarters of the Mizkan Vinegar Group is located There. If you are interested in making the trek out, why not visit one of these spots as well? No Entrance Fee, but reservations are recommended. Built in 1911, the building is registered as an Important Cultural Property of Japan. It is ideal for lunch, a spot of tea, or better yet a cup of coffee. Tokoname City is located on the western coast of the Chita Peninsula in southern Aichi Prefecture, very close to the airport, and is bordered by Ise Bay to it’s east. The asari or Japanese carpet shell (also known as the small-neck or Manila clam) is the most common type of clam found in Japan. Digging in the sand for clams is known as shio-higari and the shio-higari season in Japan generally runs from early spring to late summer, but the exact season varies depending upon the species and location. It could be argued that one of the greatest things on Earth is sitting outside on a warm summer’s day with an ice cold beer. Being from the south west of England I am used to having a pub on every corner, and almost all of them will have a garden of some kind for whiling away the balmy summer evenings. While Nagoya isn’t blessed with the same quantity of country pubs and expanse of green spaces it does make up for it by, every summer, opening up beer gardens atop of many of its buildings. Most of these, for a set time and cost, will offer an all-you-can drink ‘nomihoudai’ service along with food. Please keep in mind that the below list is for information purposes only and the establishments are not endorsed by Japan Info Swap. Perched on the 13th floor of the Meitetsu department store the Meitetsu Building Beer Garden is perhaps the ‘daddy’ of Nagoya’s beer gardens and has both sheltered and unsheltered seating. Its popularity is most likely down to the unlimited drinks available from opening to closing (no other time restrictions), and this year, with a nod to the beer revolution taking place in Japan, for an extra 200 JPY per glass you can get a craft beer. There will be 12 different beers over the summer, with four available at any one time. The food is also unlimited and, being mostly of the deep fried variety it’s pretty appetizing after a few beers, however it isn’t going to win many Michelin stars, to put it kindly. While Meitetsu is cheap and cheerful, this relative newcomer to the beer garden market is a bit more upscale. Located on the 12th floor of the Meitetsu Grand Hotel, We Chita does a variety of course meals, most of which centre around pretty fancy seafood and yakiniku, all of which you can cook at your table. There are various musical entertainment acts on specified days, it caters for parties big and small and affords delightful views of the Nagoya night sky. There are three venues for this beer garden chain, and the most popular is perhaps the Sakae branch on top of the Mitsukoshi Department store. There is a huge drink selection including hot or cold sake, and you can even request wine cocktails. The food includes all you can eat BBQ and Teppanyaki. But what really sets MaiAmi apart is the entertainment. Depending on the night there will be a variety of performers, from magicians to acrobats and even the in-house idol band MaiAmi, after which the bar is named, if you are lucky. But be warned, where there are young girls singing and dancing, creepy middle-aged Japanese guys who know the dance moves are never far away. Cost: 150 minutes; Adult 3990 JPY, child 1650 JPY. Group and early dining discounts available. This is another popular chouice in the centre of Sakae on top of one of the area’s landmarks. Fortunately it seats upward of 750 people, and it offers great views of the city, including the TV Tower, as the sun sets . The menu is of a Japanese-Sino fusion style buffet and the drink menu includes Kirin Ichiban frozen cocktails, which are perfect on particularly warm nights. Sports fans can watch the Chunichi Dragons games live on TV. Cost: 2 hours; Adult 3500 JPY, teen 2000 JPY, elementary student 1500 JPY. While it would obviously awesome if this beer garden was on the top of the TV Tower, that’s just not practical, is it? Not to worry, this is still a cracking evening out. Sheltered from the Sakae hustle and bustle directly under the tower, this beer garden sits you amidst palm trees and the greens of the local park, and while the area used to be a bit grotty, in the last couple of years it’s become a really nice place to hang out in the summer months. The food is pretty decent, with two different yakiniku courses to choose from, and unlike most other places bottled drinks – including Corona and Zima – are included in the all-you-can-drink menu. As you would expect, being in the Yanagibashi Fishmarket district, Yanagibashi Beer Garden’s specialty dish is steak. No, not really, it’s seafood and sashimi of course. But not only is the food pretty good, but they also have special events such as sports nights, live concerts from local bands (albeit mostly J-Pop) and party nights. Check out their Facebook to see what is going on tonight. One of the biggest challenges of integrating with Japanese society is the language barrier. The obvious recourse to this is to get practicing, but working in a predominantly English-speaking environment, that’s easier said than done. As such, Japanese lessons are highly advisable for getting the full value of your time in Japan.There are various ways to study Japanese. Finding the best form of study to suit you is of vital importance. If your aim is day-to-day communication, the best way to develop is conversation classes. You will find many schools around Tokyo offering this service. Some of the major schools such as Academy Language of Arts and the Shinjuku Japanese Language Institute have been around for many years and have a variety of classes to choose from, catering for all levels. Most offer a free trial that you can take with no obligation. Learning Japanese can feel like a serious business, particularly when you take into consideration the various levels of formality inherent in the language itself. However, many linguistic experts agree that, if you are having fun, you are more likely to absorb what you are learning. Some schools specialise in making language acquisition fun. Coto Language Academy is just one of these. Not everyone is learning to facilitate idle coffee shop chit-chat, and you may feel that your professional life could be enhanced by a greater grasp of Japanese. For you, a business Japanese class could be advantageous. There are many courses available out there, such as at Tokyo Central Japanese Language School and Human Academy Japanese Language School. Many of these are for learners with an intermediate level and up. However, there are a few business classes at advanced beginner level such as OFIN. As previously mentioned, different people learn in different ways. With this in mind, some schools can create customized courses tailored to your exact needs. These classes can sometimes be a bit pricey, but if done well can elevate your learning exponentially. Check out Japanese Lunch for example. In regular classes you will be sharing a teacher with around five other students (though this can vary from place to place). For a more intensive learning experience, most places offer private one-on-one lessons. As you are monopolising the teacher’s time these classes can be dramatically more expensive, but if you are happy to shoulder the extra cost, the benefits of private lessons at schools like KAI Japanese Language School and ARC Academy can be huge. For most, the ability to communicate in Japanese is reward in itself, yet others wish to have tangible evidence of their progress. This is where the Japanese Language Proficiency Test (JLPT) comes in. You can find many schools in Tokyo such as Naganuma School and Tokyo Central Japanese Language School that specialise in higher level JLPT focused training. In a busy life, finding the time to get to a school, or being able to match corresponding schedules can be a challenge. This is why schools such as Language Center utilise modern technology and offer one-on-one classes through social media such as Skype. Schools are not the only places to learn Japanese. There are plenty of people in the city wanting to meet and converse with foreigners. You can find them on websites such as conversationexchange.com, iTalki.com, or cafetalk.com. You can chat either online or in person. They help you with Japanese and you, as the name suggests, help with their English in exchange. While some schools charge tuition per lesson, for the most, prices are on a term-by-term basis. There will also likely be an enrollment fee and course material fee. Most schools offer a free trial. Contact businesses directly for further details. The above is by no means an exhaustive list of Japanese language schools and, as it is to be used for information only, it is not to be considered as endorsement. 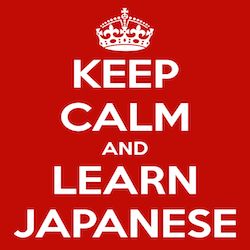 For a fuller list of language schools in your area, see the Japanese language school database. I doubt that there is a single kid in the western world who, when watching the 1933 classic movie King Kong for the first time, didn’t think ‘I wish I could climb walls like that’, and then spent an afternoon being told off by their mother for clambering all over the furniture. (Surely it’s not just me.) Well, as we grow up we learn that, unless we are a Marvel action hero or the Human Spider, it’s not going to happen. But that’s not entirely the case, because in recent years bouldering has taken off in a big way. While sounding like a heat in the World’s Strongest Man competition, bouldering is in actual fact a discipline of rock climbing performed without the use of ropes or harnesses. However, unlike free solo climbing, in bouldering the climbing path is usually, like many boulders, less than six metres (20ft) tall. The sport originated in the mid-1800s as a way of practicing tricky rock climbing manouvers at a safe distance from the ground. During the 20th century the sport grew with the advent of crash mats to prevent injury from falls and indoor bouldering providing all-weather access. The coming of You Tube in the 2000s has since helped the sport grow even further as those unacquainted with climbing gained knowledge of the challenges involved. 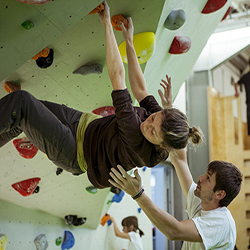 Of course Tokyo is pretty thin on the ground when it comes to boulders, however there are still plenty of bouldering centres around the city, most of which offer lessons for beginners just getting to grips with the idea of rock climbing. Below are just a handful of the places you can try. T-Wall are probably the biggest players on Tokyo’s bouldering scene with four locations across the city. Each place has a distinctly different style ranging from a mammoth 11m (36ft) wall to urban settings. The great thing about T-Wall other than this variety is that registering at any one place gets you admission to all four. There are two locations for B-Pump in Tokyo – Okikubo and Akihabara – but it is probably the latter that is more popular. There are three floors with various levels of difficulty but its most original selling point is the third floor black-lit neon room. It is sounds quite ridiculious yet it is entertaining at the same time. On Friday evenings, there is a women-only class for beginners. There are eight levels of bouldering difficulty on this, the largest wall in the capital measuring four metres (13ft) in height and a whopping 40m (130ft) across. Slopes range from 80 to 150 degrees and there are lessons for those just starting out. Then, when you are done with the wall, you can try out the other sporting activities in the huge Tokyo Dome City sports leisure centre. If you are unsure as to whether bouldering is a thing for you, why not take advantage of Peki-Peki’s first-timer’s free lesson? There are three floors in this small but stylish climbing space including a floor dedicated just for kids. Once you feel like you have had enough of a workout for a day, you can take it easy in the terrace and lounge areas. If you are feeling that you want a bit of fresh air while you climb and are happy to brave the Tokyo summer heat, why not head over to Miyashita Park in Shibuya (just across the street from Peki-Peki)? At 350 JPY for two hours of climbing, this Nike sponsored park is probably the best bouldering bang for your yen you’re going to find. On the downside, it is quite small and they only allow eight climbers at a time, but if you find yourself with time to kill, you can always check out the skate park and futsal court which is right next to it. If you grow tired of the fabricated climbs and want to experience the real thing, the shoreline of the Tama River that runs through Tokyo Prefecture has plenty of large jagged boulders. From Shinjuku JR station it takes just 80 minutes to Mitake station in Ome city, which is a great place to get to the river. In fact some of Japan’s best bouldering problems are found in the Mitake area, with names such as Ninja Rock and Dead End. Of course, falling even from these relatively short heights will still be pretty painful, but you can rent crash mats nearby specifically for this purpose. As the weather heats up in the city, what better way is there to celebrate the summer steam than with Salsa Street, the Caribbean and Latin American festival in Yoyogi park on June 20 and 21, 2015. There will be food and drinks – tacos, cerveza, rum – from all over the region, as well as handicrafts and trinkets which add a little Latin spice to your home. However, if you are unable to make it to the Shibuya park that weekend but still have a hankering for some Latin ‘comida’, why not check out one of these great restaurants. While there is some question as to whether Jamaica “counts” as Latin American, it is definitely in the neighbor hood and this is a fantastic restaurant so we are going for it! Owner and chef Toshiyuki Ibayashi of Aalawi (named after a patios phrase meaning ‘all of us’) spent a year knocking around Jamaica eating from the street stalls. Having found his muse, he retuned to Tokyo with a love for the island food and an amazing recipe for charcoal grilled jerk chicken. The restaurant itself is as unpretentious and laidback as you would expect for Jamaica, with a little bit of muralisation and Irie FM to let you know where you are. If still in any doubt, you would be quickly reminded by the steady supply of Red Stripe beer, rice and peas, ackee, and salt fish. Just a short stroll from Asakasamitsuke station, Ahi Nama is a bright and lively Cuban bar and restaurant that goes late into the night. While the name means ‘to have reached the best’, this is not reflected in the price. The lunch menu in particular is great value for money: four options all for 900 JPY or under. The dinner menu is more expensive, with sausages, beef and pork on skewers, various Cuban style sandwiches, all kinds of tostadas, and quesadillas and rum steamed shrimps. Speaking of rum, there is a wide Cuban rum selection to enjoy while you dance the night away. Can’t salsa? Well, why not join one of their free 20 minute salsa classes? Just 8 minutes’ walk from Harajuku station, Bepocah Cocina Peruana takes Peruvian cuisine and adapts it for the Japanese taste. There are no panpipes or stuffed llamas here, instead there is stylish elegance with undernoted lighting. The food, however, is just as it should be, with a menu that is more extensive than you would expect. There are more than half a dozen of ceviche varieties (Peru’s national dish), and plenty others. If you want a Peruvian drink with a bit of a kick, try the Pisco shots. Although if it’s your first time on the Peruvian brandy, some like to dilute it. A Pisco sour is a great little cocktail. Hacienda del Cielo is an elegant 9th floor restaurant with a spectacular roof top for a special dining experience, even more so with beautiful weather. The etymology behind the restaurant name is ‘place in the sky’. 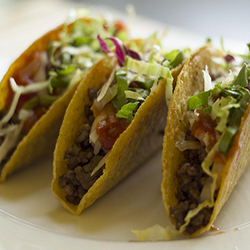 Of course the menu has the regular array of tacos, enchiladas and the like, but there are a few intriguing surprises too. The rosbif y higos (roast beef and figs) and the pork spare ribs are particularly tasty. Want a refreshing drink with the meal? Grab yourself a Coronarita (frozen beer cocktail), a sangria, or a spicy tomato mojito. The redback spider is dangerous, but unlikely to kill a healthy adult, even if the anti-venom is not administered. They are an invasive species and dangerous, especially to children, the elderly and anyone with a weakened immune system. Small pets (cat size) are likely to die if bitten and not given the anti-venom, for perspective. If you see one of these spiders, avoid it or kill it. Like most folks, I am not a fan of spiders. Like significantly fewer folks, I take that dislike to extreme lengths, preferring to burn down and rebuild if a particularly nasty spider is found within sight of me. I know it is not a logical fear, but… spiders! It makes no difference. Most of the time those fears are unfounded. The vast majority of spiders can do little more than make me uncomfortable and give me a bite little more painful than a mosquito bite. In the case of the Australian redback spider, however, there is actually some cause for concern. This breed of spider is a “widow” spider, similar to the “black widow” spider common to my native Seattle. The “widow” refers to the female killing and eating the male in order to obtain their sperm, which can be stored for up to two years… shudder… Besides being a deviant practicing “sexual cannibalism,” the spider is venomous, and has a tendency to make its home inside human occupied areas, to my utter dismay. The venom of the redback spider is rarely fatal, but it is extremely painful and bites should be taken seriously. To put it into perspective, in its native Australia, everything can kill you, and this spider is considered among the most dangerous spiders in that environment. Crocodiles and drop-bears alike tremble in its presence. Ok, so I made that up, but the “dangerous” part is real. An adult female redback is easily distinguished by her round black body with prominent red stripe on the top of her abdomen and an hourglass-shaped red or orange streak on the bottom. Females have a body length of about 10 millimeters (0.4 in), while the male is much smaller, being only 3–4 mm (0.12–0.16 in) long. These spiders are nocturnal, and they build their “untidy” webs in warm sheltered locations, very often inside of human occupied areas. There are more poisonous spiders out there, but a preference for living near humans makes up for any deficiencies, and the bite can regardless cause serious problems, including death. If you are lucky, you will suffer only a “dry bite,” in which no venom is injected and minor pain will follow. A “wet” bite is accompanied by a hot load of venom, and the amount of venom injected, the size of the victim, and their general health at the time will have a lot to do with what happens next. The initial bite will feel like a pinprick followed by a burning sensation. If venom was introduced, the pain will worsen over the next hour, developing into localized pain (a small area surrounding the wound) sweating and goose-flesh. The pain may continue to spread and become generalized (your whole body will hurt), followed by stomach cramps, nausea and vomiting. The typical duration is three to six days. Victims unable to receive the anti-venom may feel sickly, weak, and endure muscle pain for weeks. Even without the anti-venom, the bite is rarely fatal to a healthy adult, but by way of comparison, a cat or small dog will likely die if bitten and not given the anti-venom. Children, the elderly, and anyone with a weakened immune system are at the most risk from bites. The redback spider is Japan’s most recent spider immigrant, though I think we all wish they had caught that one at the border. While there is no way to “protect yourself” against these spiders, you should know that while they live near humans, they are nocturnal, and very shy. They wont be living where you are most of the time, so the best defense is to be careful in areas of the home that are rarely used. It is unlikely you will see one, they are still uncommon, but you should be careful anyway. Photo "Latrodectus hasseltii close" by Toby Hudson - Own work. Licensed under CC BY-SA 3.0 via Wikimedia Commons.